All the police stations on the island of Hawai’i will double as drop-off points throughout August and September during a drive to collect used backpacks for children in need. The backpacks will be distributed to children at women’s shelters, homeless shelters and transitional housing facilities. Backpacks have been identified as the most-requested item for children’s charities in Hawai’i and elsewhere. 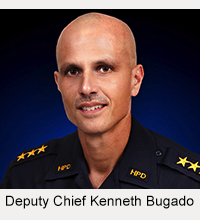 Police Chief Harry S. Kubojiri offered police stations as drop-off points to make it convenient for anyone who wishes to donate backpacks for the project. 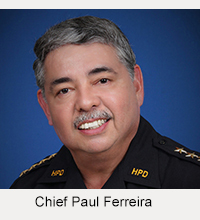 “As we enter into the beginning of another school year, I humbly ask those of you who have usable backpacks your child has replaced and is no longer using to consider donating them to assist those less fortunate in our community,” the chief said. He added that the public may continue to drop off backpacks after the drive ends and police will pass them along to the appropriate nonprofit agencies. The two principal organizations coordinating the backpack drive are the Office for Social Ministry and From Kids For Kids. Other agencies will also participate. The Office for Social Ministry provides a continuum of homeless programs from outreach to emergency shelter to permanent supportive housing. From Kids For Kids was founded in 2006 by Big Island resident Nani Welch Keliihoomalu, then 10, to encourage kids to donate to each other.